The Queensland Civil and Administrative Tribunal (QCAT) have made a decision in favour of a nurse who was up against the state’s health department. 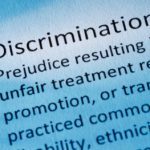 They awarded the nurse over $20,000 in compensation for her claims of discrimination. The panel found that the nurse was treated unjustly because of her inability to work night shifts due to her medical condition. The tribunal decided that it was unnecessary for nurses to be available ever hour of the day, 7-days a week. The Queensland Nurses Union (QNU) felt that the ruling signifies the need for employers to be flexible to the needs of their employees. . Secretary for the QNU, Beth Mohle believes the judgement sends an important message to all employers. Mohle discussed the recent decision will encourage employers to be more thoughtful in the action they take.However, in her opinion, the health board should have been able to apply a reasonable policy without the assistance of the court – especially when involving those with disabilities .